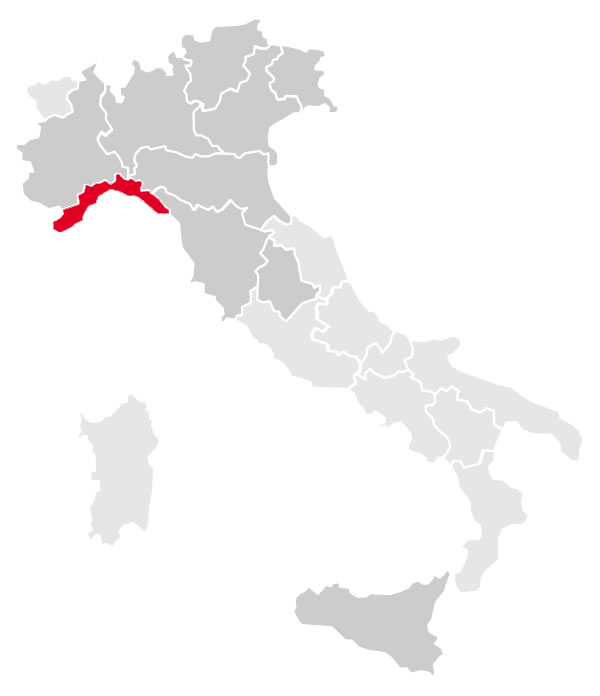 Italy is divided into regions and each of them has its own way of enjoying and enhancing the typical products of the area. The resulting dishes come from a long history of ingredients and their correct usage. Often the good recipes have ancient origins and come directly from the people, that group of people who had no money to buy expensive food and had to leave off the produce grew directly in nature. Those people were used to not throwing away anything from an animal, but knew how to cook it the right way with ingredients capable of flavouring even a simple piece of bread. The bread itself used to be produced in the homes and if it were flavored with some extra ingredient it could accompany any food. 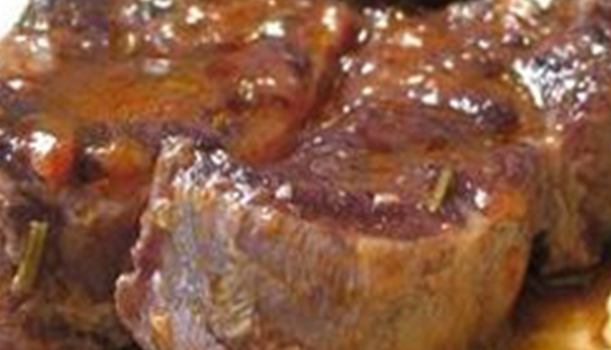 La dolce vita Kenya will offer to its customers, a week of local delicacies typical of a region. COCCOLI (fried home made pasta) HAM, SALAME, together with grilled and marinated vegetable like sweet pepper, onions, baby marrow, eggplant – Tuscan crostino with chicken liver sauce. 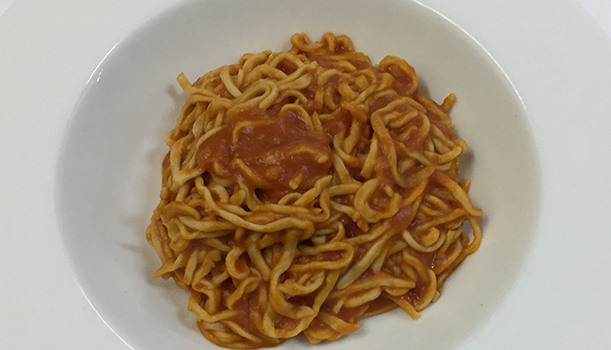 Pici is a homemade pasta with simple ingredients like flour, water and black pepper with a tomato sauce cooked with a special garlic. 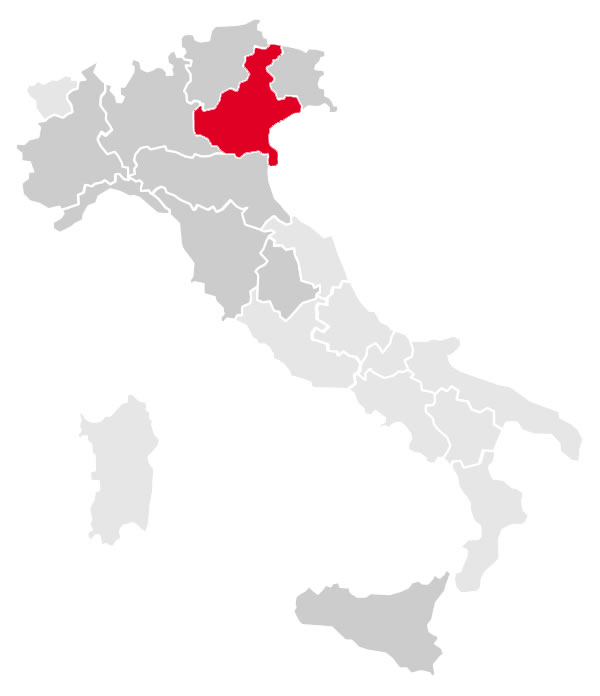 The Aglione is a typical variety of garlic cultivated mainly near Siena. Peposo (Peppery Tuscan Beef Stew) is a traditional dish in Tuscany coming from the hills of Impruneta, a village among the sweet hills of the Tuscan countryside nearby Florence. It was popular in the Middle Age for the production of terracotta d’Impruneta. 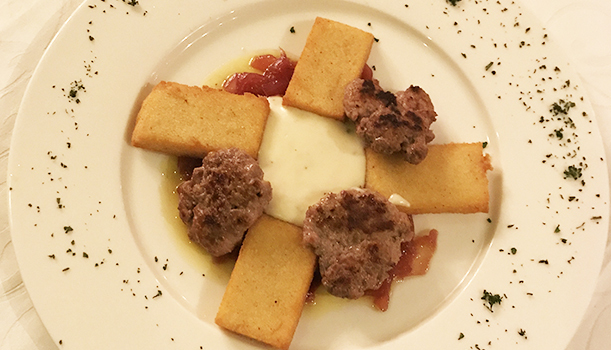 According to the local stories, the fornacini (those involved in the firing of the bricks in kilns in Impruneta) have made this traditional Tuscan dish, putting in a corner of the furnace a pan with the ingredients dipped in red wine and left them to cook for about five hours. Cantuccini or biscotti di Prato biscotti means twice cooked and this cake needed to be easily stored for longer periods of time. The first documented cantuccini recipe is dated around the eighteenth century and comes in form of a manuscript, currently kept in Prato (near Florence), It is also believed that Christopher Columbus used to carry them with him on his travels. Now, it’s time you discovered cantuccini, a very special kind of biscotti. They are twice-baked, dry and crunchy. For the Italians, dipping them in a drink, usually a dessert wine Vin Santo, is a must. The original cantuccini mixture is composed exclusively of flour, sugar, eggs, and almonds, without any form of yeast or fat. The dough is then cooked twice, with the second baking defining how hard the biscotti are. Our trip around Italian region continues. This is a typical Liguria menu as the origin of Mario, the chef of this restaurant, which is bringing to Kenya the story of his region!! 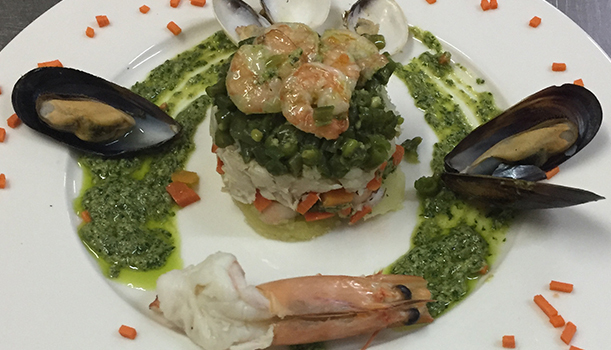 Cappon Magro is a rich fish-based salad with the shape of a little hill where, layer by layer seafood and vegetables become a little hill. 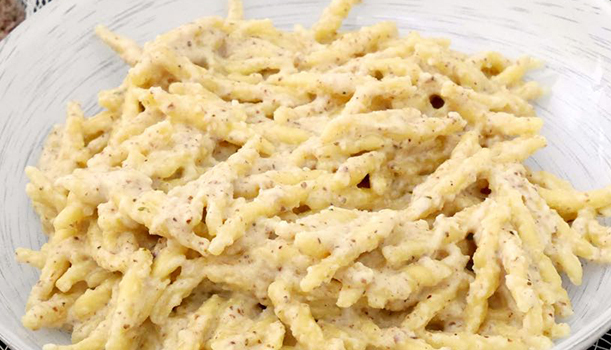 Trofie is a short, thin, twisted pasta from Liguria. The name may derive from “strufuggiâ” which means rub, the term that describes the movement of the hand on the cupboard need to get Trofie. The origin of Trofie Pasta dates back to the times of the Crusades. When on ships, cooks would knead flour and water to make pasta. Its ancient origin cannot be dated because there were certainly a host of different dates on which simple, tasty bread was enriched with a bit of this and that. Someone is saying that pandolce’s origins lie in Persia, where a ritual was linked to it: as soon as dawn broke on New Year’s Day, the youngest of the king’s subjects gave him a large pandolce as an auspicious gift, full of apples and candied fruit, which was divided up between the courtiers. According to others Pandolce derives from the ancient Ligurian bread called pan co-o zebbibo, containing the zebbibo raisin, which over the years was enriched with candied citrus and pumpkin, orange flower water, fennel seeds and pine nuts. 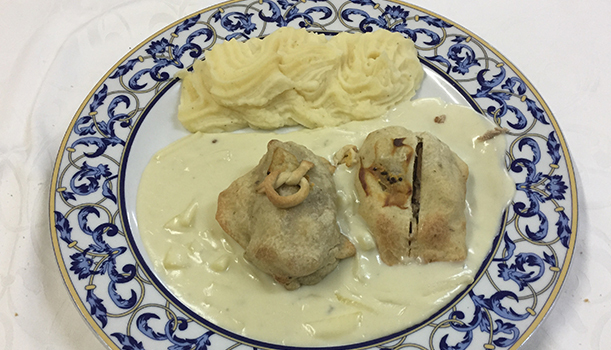 Sgagliozze – These were originally sold after Mass outside the St. Nicholas Cathedral in Bari, on December 6, the day of the patron saint of the city. Today there still a few old ladies who sell these hot, fragrant and crispy polenta squares on the streets of the Old Town. 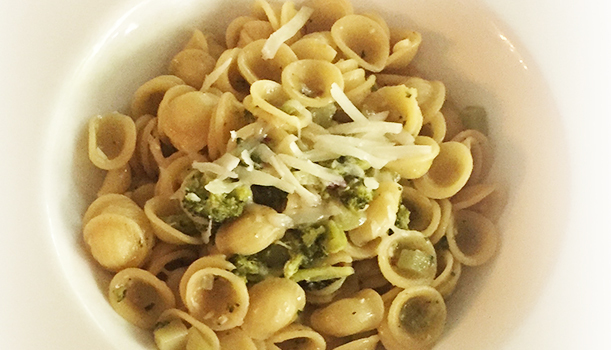 Orecchiette is a typical pasta used in Puglia. Its name comes from its shape, which resembles a small ear. 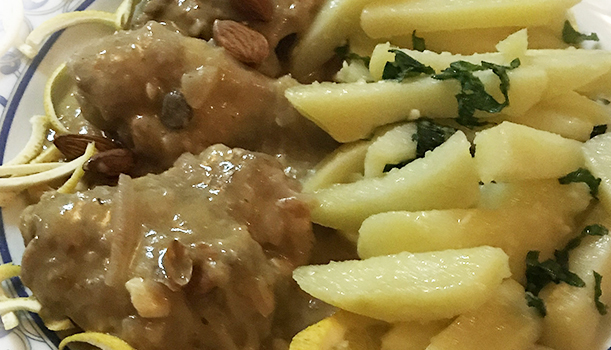 Bombette pugliesi – It’s thought that bombette pugliesi were born more than 40 years ago in a butcher’s shop, it has been served throughout the south of Puglia as a popular street food at carnival and festivals. Even today, you can find butcher’s shops that have little restaurants serving bombette with rustic bread or in rolls. 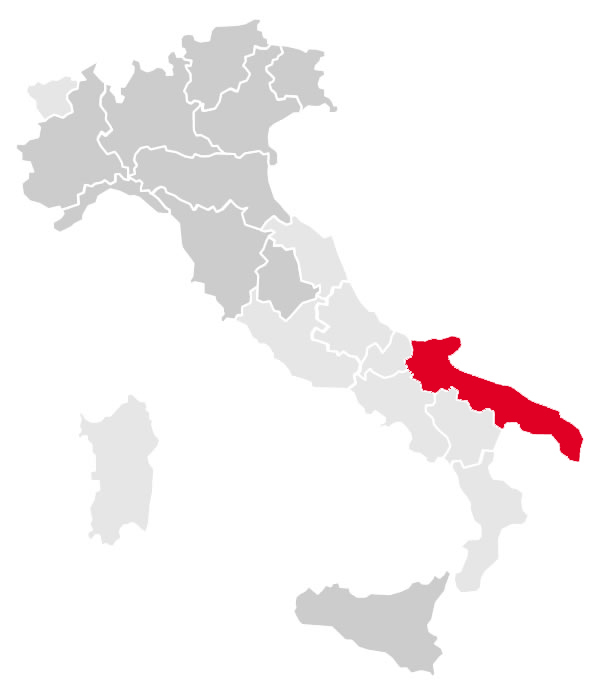 Our trip around Italian region continues. 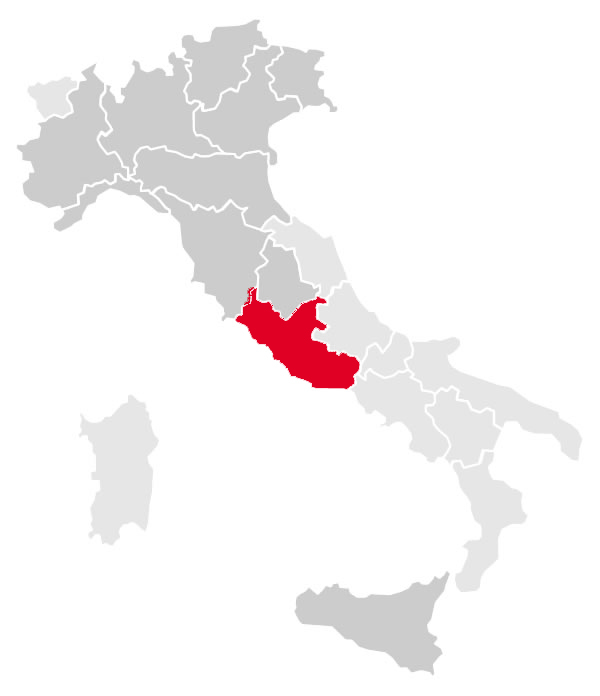 We stop in Lazio and in the capital ROME. Frittatas filled with a veal mince sauce, mozzarella and grated Pecorino Romano (the typical cheese of the area). 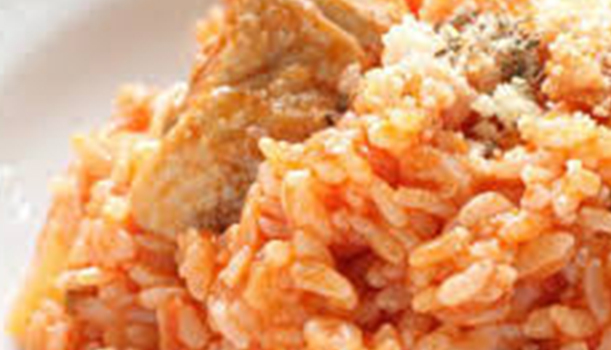 Stracci – This dish comes from the very ancient and little mountain town of Antrodoco, near Rieti in Lazio. 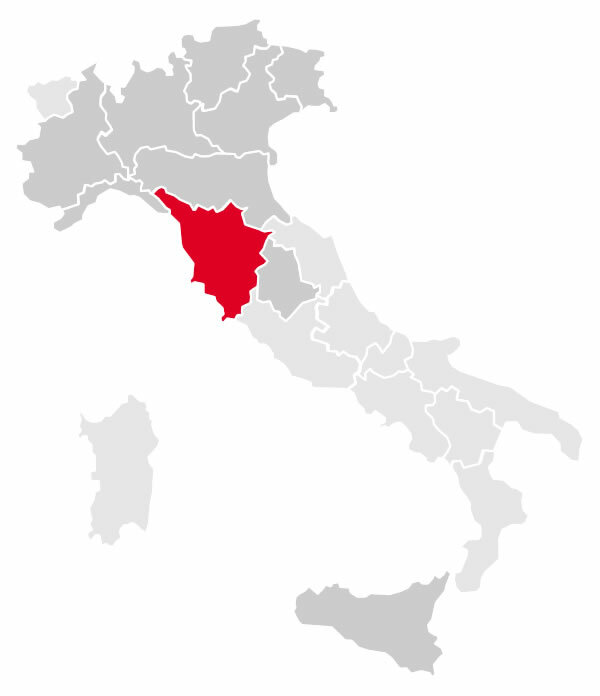 The dish is usually made on feast days in Antrodoco, a hilly town on slopes of Monte Giano in the province of Rieti. The local recipe apparently dated back to the Middle Ages. Stracci means “rags,” and the beef strips probably got the name because the recipe seems them turn moist and soft. It has been a traditional type of Italian pasta of (probable) Middle Eastern origin since Roman times. It was introduced by the Roman legions during the expansion of the empire into the countries of the European continent. In the past 2,000 years, each country has developed its own specific type of small dumpling, with the ancient gnocchi as their common ancestor. Drum chicken steak, green, yellow and red pepper, onions and tomato. 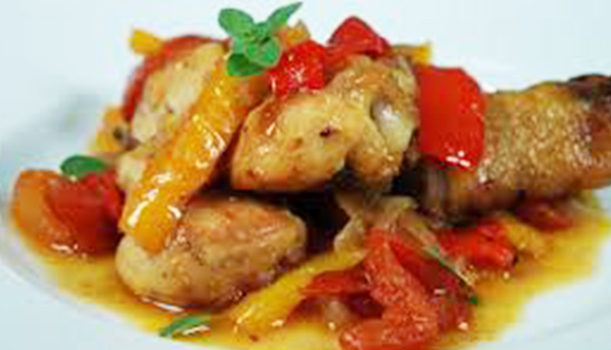 Fusi di pollo alla romana – This is a very old peasant dish from Rome. The ancient Roman houeswives would make this dish every week. Typical of such dishes, it use, wine and herbs to tenderise and give flavour and the dish is slow slow cooked — traditionally prepared in the morning and left to simmer for several hours. Almond, cashew nut, raisin, honey, candied fruit, dark chocolate, white chocolate Pangiallo. The pangiallo origins are in the Roman Empire, where people had the tradition of distributing this sweet during the celebration of the winter solstice, in order to encourage the return of the sun. That’s why the crust of the cake is typically golden. Our trip around Italian region continues. Now we stop in Veneto. It is a typical Veneto cake. Our trip around Italian region continues. 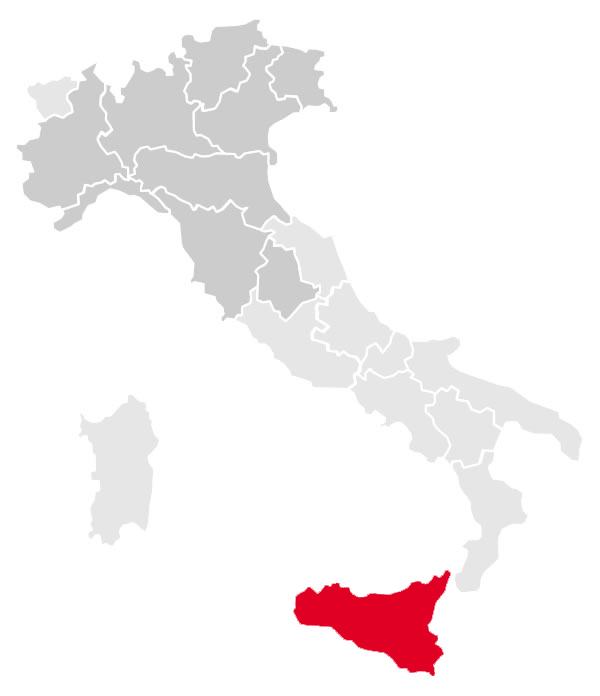 Now we stop in Sicilia. 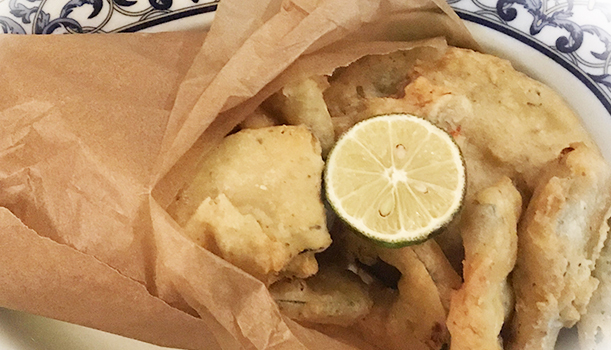 Fritti Siciliani – Thanks to its climate, a lot of vegetables are cultivated in Sicily. 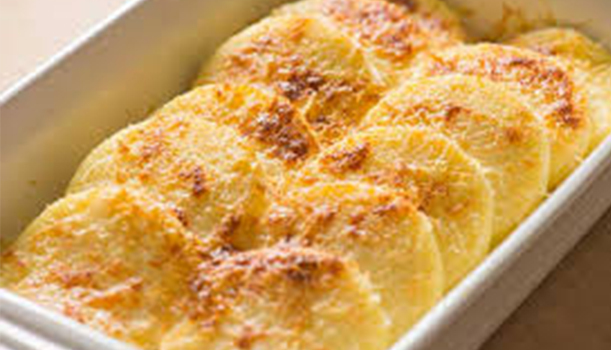 The Aragonese, (people coming from region of Aragon, in north eastern Spain), in the 13th century, brought in Sicily the custom of fried preparations, so it was possible to give flavour to all those dishes poor of dressing as generally are vegetables.